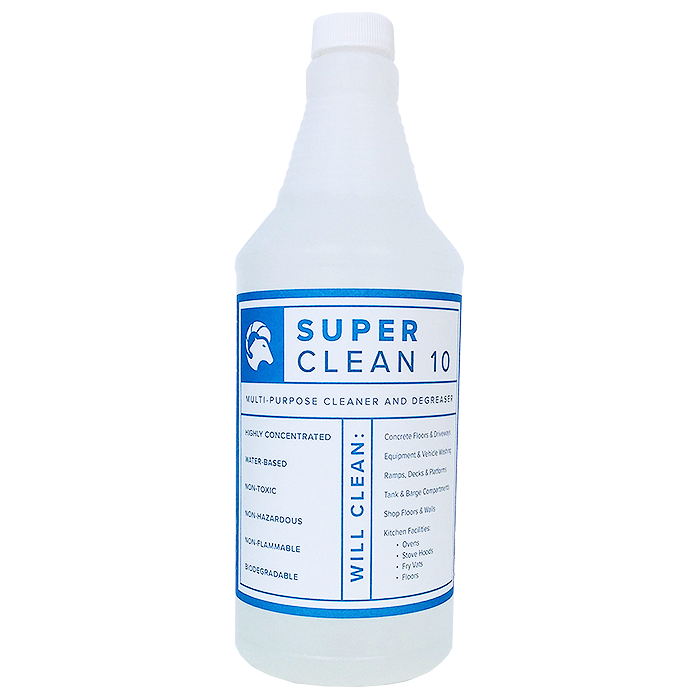 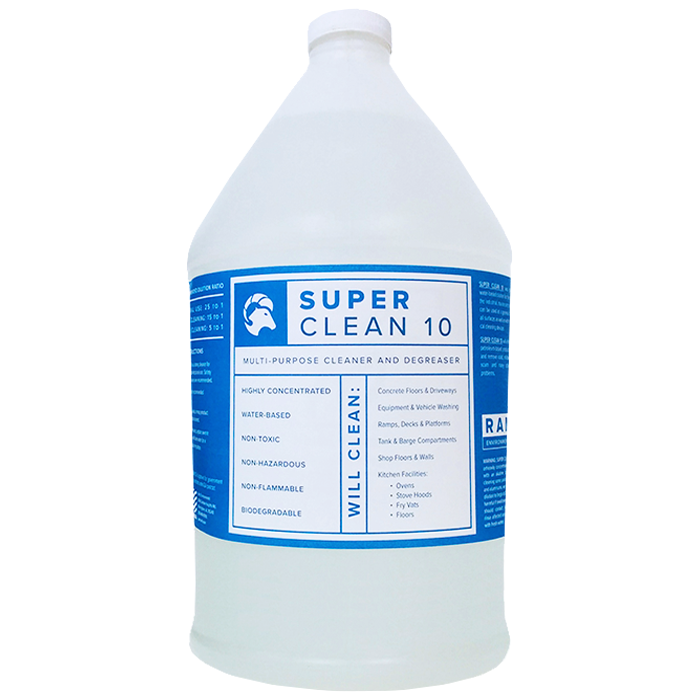 Super Clean 10 multi-purpose cleaner and dispersant is a major breakthrough in water based cleansers for today’s complex needs in the marine, industrial, and oil field markets. 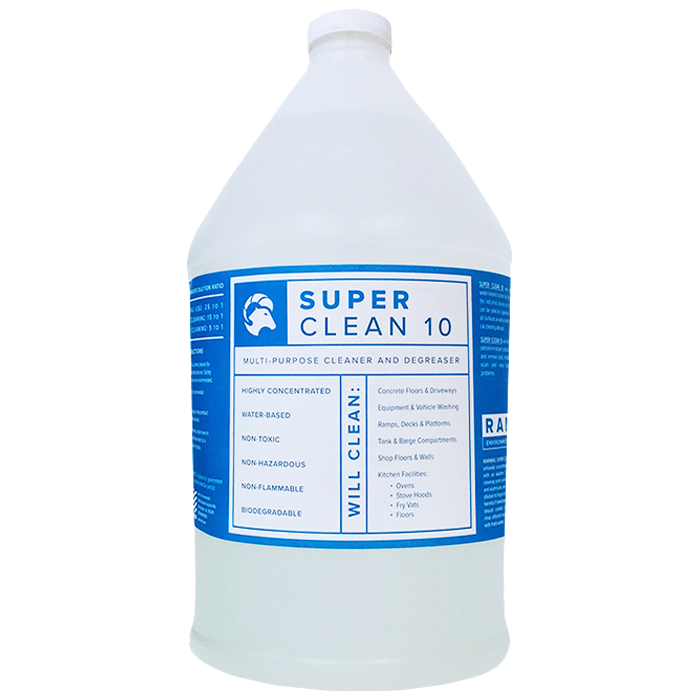 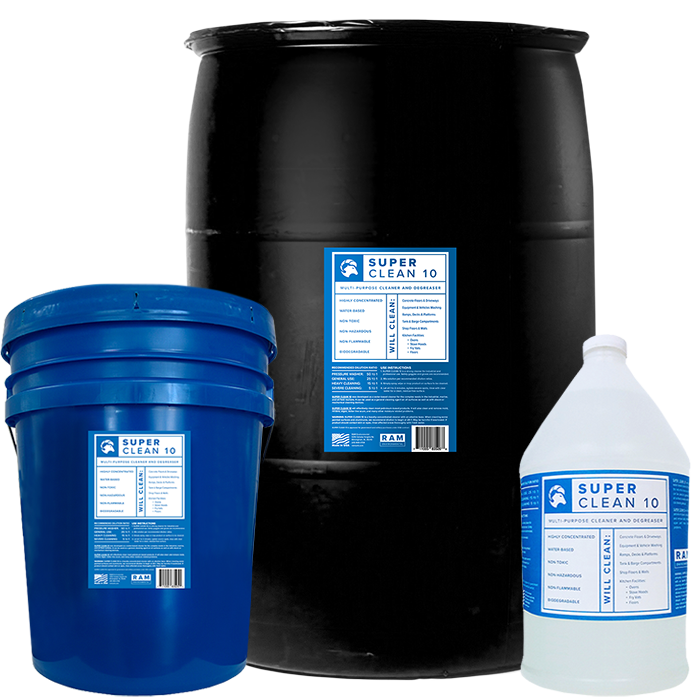 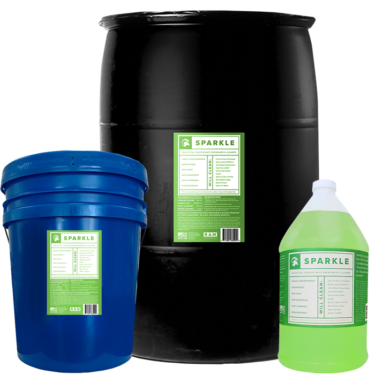 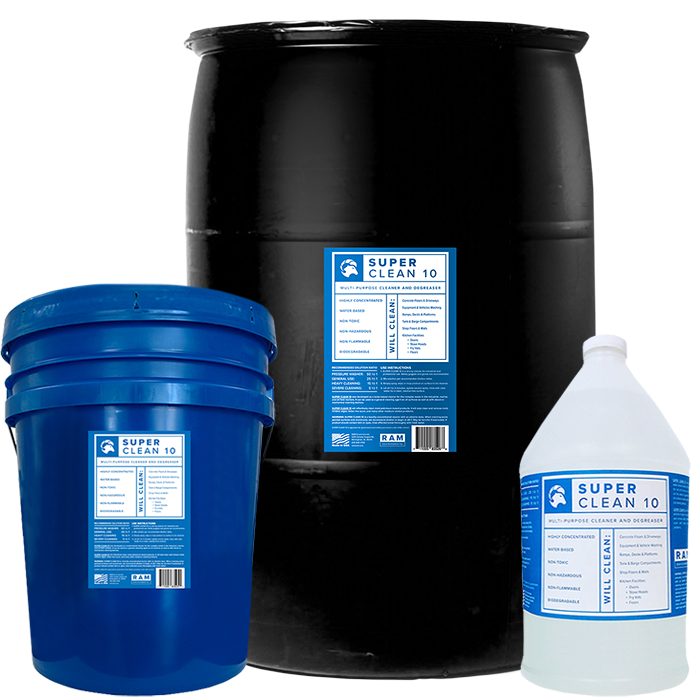 Environmental problems are kept at an absolute minimum when your facility uses Super Clean 10. 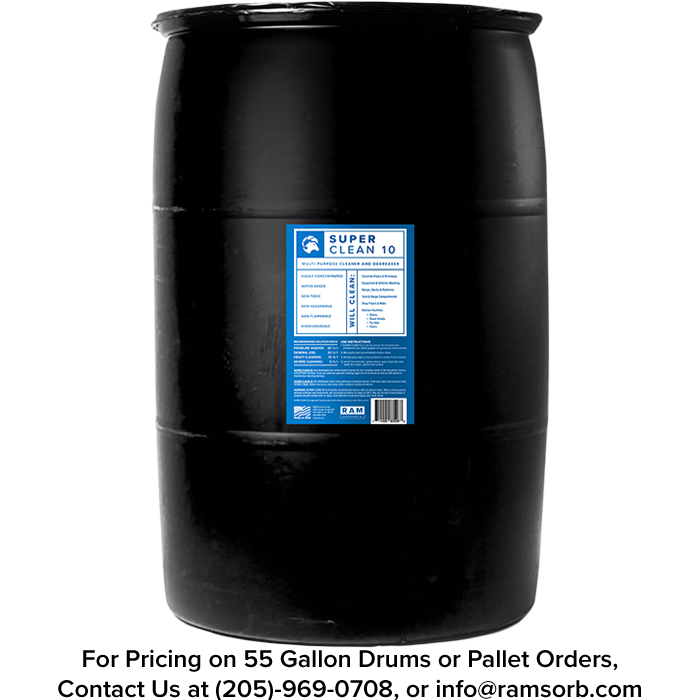 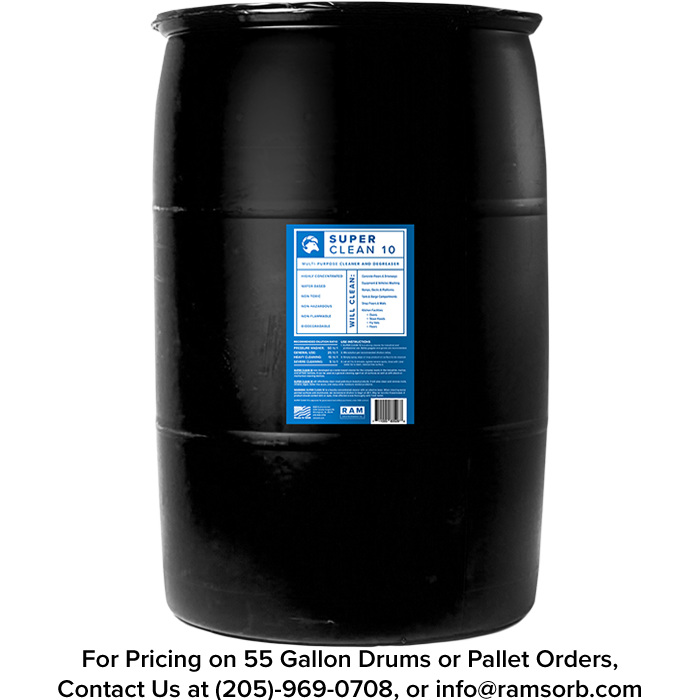 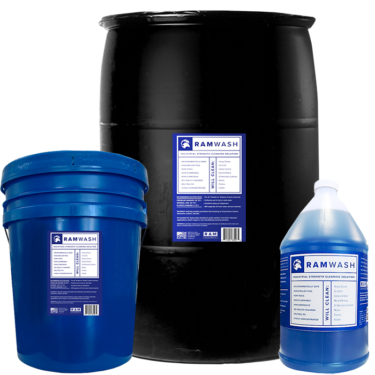 Please Call (205)969-0708 or Email info@ramsorb.com for Discounted Pricing on Pallet or 55 Gallon Drum Orders, or for Shipping Outside of the Continental U.S.
Super Clean 10 will safely disperse and herd most petroleum based products. 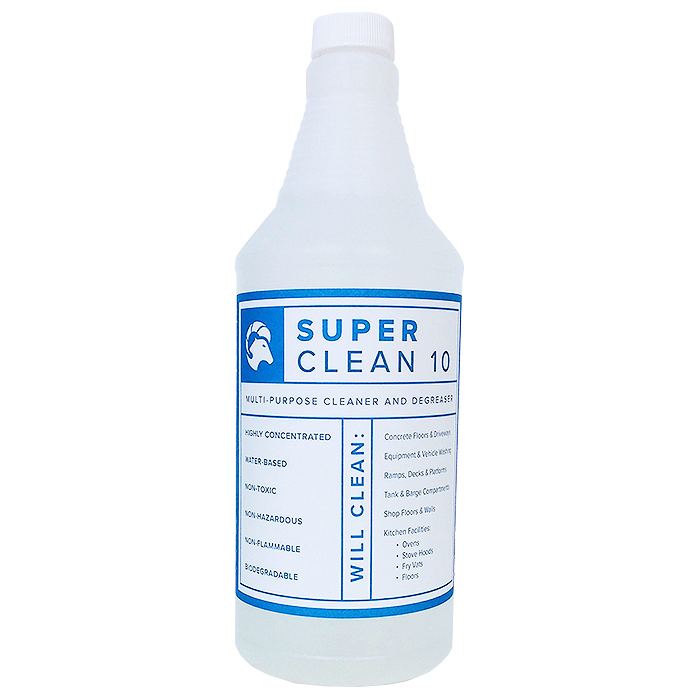 It cleans and removes mold, mildew, algae, water-line scum and many other related problems.